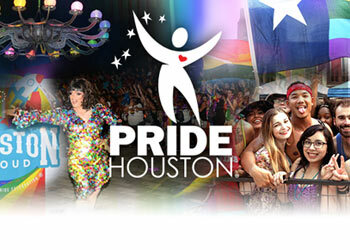 We Keep Moving Forward – Pride Houston, Inc. This morning we wake up as we always do, get dressed, go to work/school, take care of our loved one(s) and yet it is a different day for the LGBT community as well as the rest of the World. The LGBT community has seen some major milestones we never thought we would see in our lifetime; such as the ability to adopt across all states and of course marriage equality. 2016 has tested the LGBT community’s resolve with the incident that happened in Orlando this past June and now another roadblock on our path to equality. Despite this adversity the LGBT community has continued to thrive… Why? We knew a long time ago that this path would not be an easy path and we made a commitment to continue this fight regardless of what was put in front of us. In the 60’s, when we were being raided in a place we thought was safe; we rose up for what we believed in during the Stonewall Riots and we survived. In the 80’s, during the AIDs crisis, when our friends and loved ones were dying of an unknown disease; we rose up and we continued to thrive. In the 90’s when our community was being suppressed in the armed forces due to Don’t Ask Don’t Tell; we rose up and survived to see it fall in 2011. Finally, recently we were faced with the injustice of not being allowed to marry the one we love regardless of their sexual orientation; and again we rose up and won that battle. “Look up, not down. Move forward and never back. 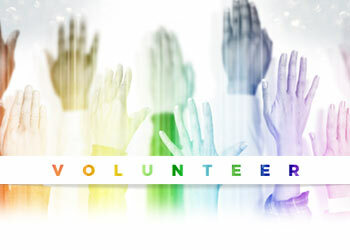 If we stick together we can continue to move mountains.” Lorin Moton, Board of Director of Pride Houston Inc. Through each crisis or incident it has brought a unity to the LGBT community. Today, we must do the same. We must come together as we are stronger when we are together. We are one Houston, one community and one country that will keep moving forward and help one another during these uncertain times. “Through the fear of an unknown future, we must keep moving forward together.” Frankie Quijano, CEO of Pride Houston, Inc.
As we come together, we have a renewed vision for our path to equality and we will rise up together through each obstacle. We will continue to commemorate our culture as well as celebrate our lives. Pride Celebrations throughout the United States have taken on a new meaning as we know the fight is far from over and there is still a long road ahead of us. We’ve tasted victory and seen the light at the end of the tunnel. This is not a time to give up hope because hope is what will light our way in the darkest hour. As Harvey Milk said, “Hope can never be silent”. Our voices will never remain silent while we are considered second class citizens. In the spite of our community faced with injustice, the fight continues. Remember that even after the darkest storm, there is a rainbow.